what our book stacks say about us, a photo by unglaubliche caitlin on Flickr. 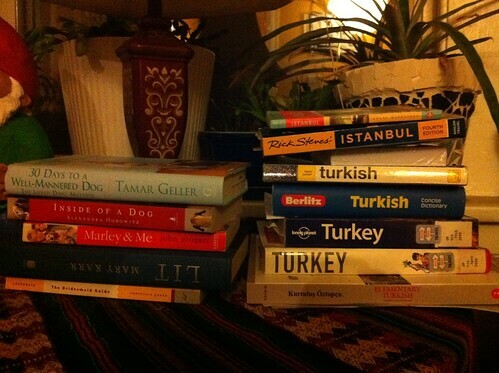 apparently we are going to turkey, trying to learn turkish, and now have a dog. and are not really committed to being a bridesmaid?